... the good news is that Krissy's eyes couldn't look better. For those newer to my project he had chlamydial conjunctivitis last Nov and I had to catch him and take him into care and we successfully treated him and he was released again here 5 weeks later. 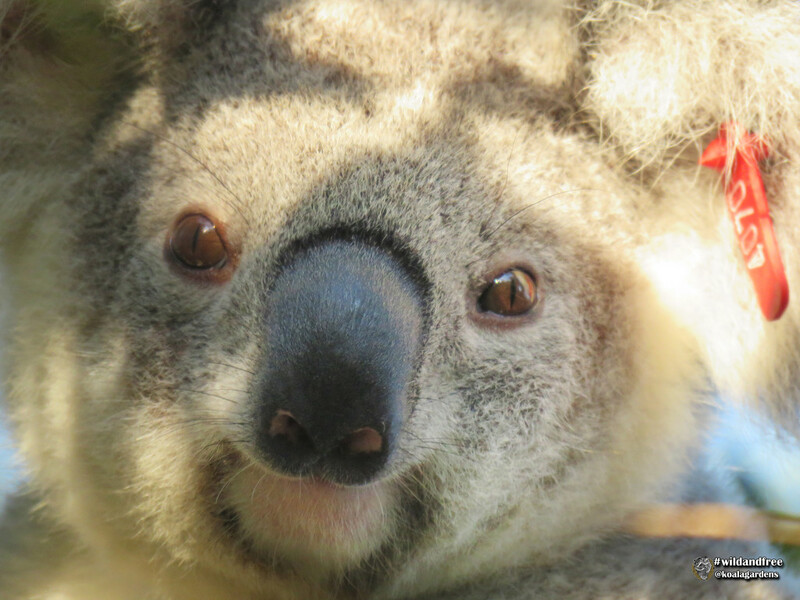 That is why he wears an ear tag (all koalas taken into care by law here are tagged before release). I like the play of the leaf shadows on his face in this shot too. Thank you for the many awesome comments and some really well thought out questions lately too! So pleased that you discovered him in time to be treated early and successfully . He now looks a picture of health ! Good that you could help him out. It sounds like something that could be contagious too. That is a beautiful portrait. @shutterbug49 oh yes very contagious - sadly his 12 year old mother did not make it as she would have been infected first. Good to see him with healthy eyes! Wonderful close-up and quite interesting information and its connection with loss of habitat - a double whammy for them. Sad. Great shot. Looks like it has cleared right up. A wonderful close up and such good news too. He looks very healthy now! How lovely to see him recovered and looking so good! Love this wonderful, close up portrait of Krissy! I'm glad he's okay now! Oh, boy. Such a cutie! I am glad he’s healthy and staying where you can see him! Be well, Krissy! Wonderful news and a lovely portrait too...fav. Glad it was a success.